We know how tough it can be to manage hundreds of resources and team members. The GoLinks dashboard is your all-in-one solution to ease that pain. Update golink destinations, see usage trends, and search confidently. We've got you covered. Didn't see that poster regarding the guest speaker? Not a problem. 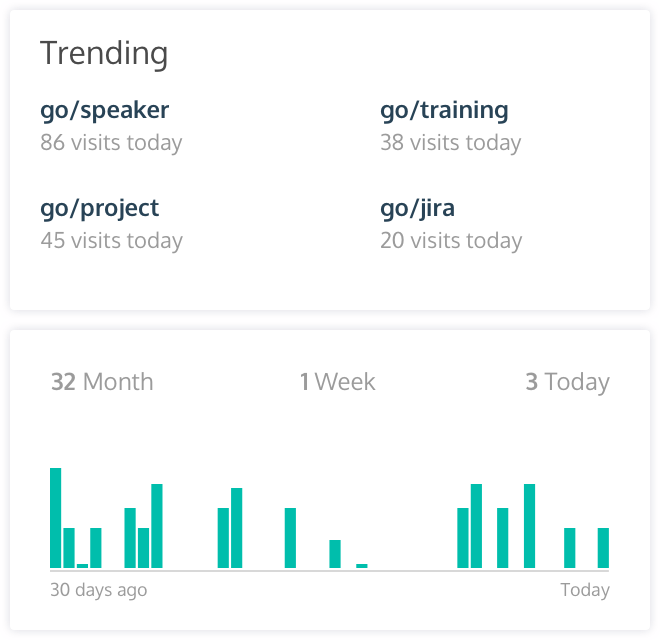 Team members can see a list of trending golinks amongst your organization. 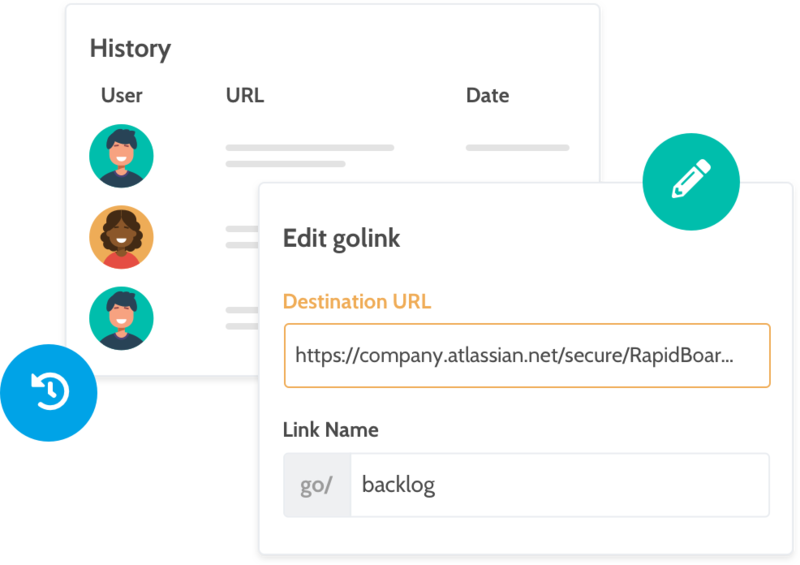 Your organization can also see usage for individual golinks. Is the golink you created making a splash? Golinks uses AI (Natural language processing) technology to enable you to target the exact resource you are looking for...even if you misspell it or only remember it partially. 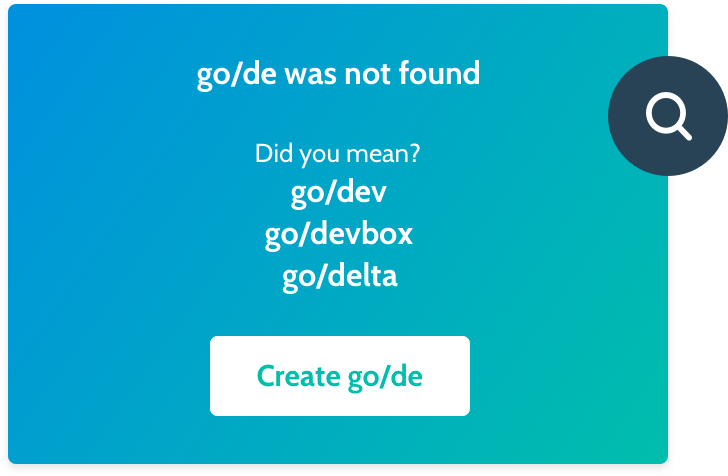 Changing the destination of a golink is simple. Modify the existing URL and keep the keyword. Your team will appreciate less 404 error pages. Each golink includes a comprehensive history of updates made. Free and Enterprise specific Administrator and team settings. Bring the power of GoLinks into your Slack channels. Have questions, concerns, or feedback? We pride ourselves in quickly responding to your needs.